Understanding your market opportunities is foundational in any strategic planning process. It allows you to assess how you’re doing in the marketplace, determine where your greatest areas of improvement are, and whether the investments you’re making line up to your market penetration data. The Reno-Sparks Convention and Visitors Authority (RSCVA) has taken this notion to a completely new level. 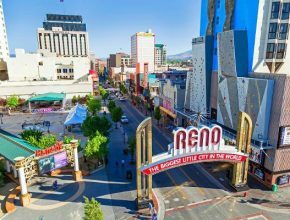 For the past three years, RSCVA has partnered with the major hotel properties and the Reno-Tahoe International Airport to prepare a comprehensive analysis on the origination of visitors to Reno and Lake Tahoe. The result has been three years of complete analysis for nearly 60% of the occupied hotel room nights in the region. Not only does the data help RSCVA make strategic decisions about their marketing budgets and priorities, it gives each of the hotel properties data on the origination of room nights they sold so they can make strategic decisions of their own. It’s about making the biggest impact for growth: RSCVA is making decisions and strategies to have the biggest impact on the growth of tourism for Reno-Tahoe. They have a baseline of performance: They have baseline data to assess the success of their plan and marketing spends. It’s created healthy relationships: It’s encouraged the symbiotic relationship between the board and property owners that is cornerstone to the success of their organization. Decisions based on data, not gut feeling: Making decisions based on data rather than gut feelings will produce better results for their organization. As always, analyzing hundreds of thousands of lines of data was a challenge, but we’re excited to see how RSCVA uses this data for the coming year.